One of the times that I visited Jalopnik’s front page recently, I was surprised, and frankly quite disturbed by their article about the Automaker’s Alliance. 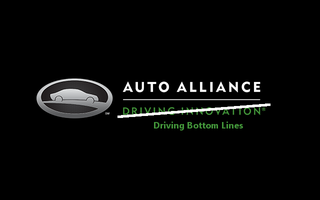 For those that don’t know, this Alliance includes BMW Group, Ford, Fiat-Chrysler Group, General Motors, Jaguar, Land Rover, Mazda, Mercedes, Mitsubishi, Porsche, Toyota, Volkswagen, and Volvo. This huge pool of very powerful companies are lobbying to make it illegal for hobbyists, gearheads, or anyone that does not work in the automotive industry to modify the electronic control systems of a car. They are doing so through use of the Digital Millennium Copyright Act, claiming that intellectual property laws cover the highly sophisticated computer systems on modern vehicles. Now, I can understand where they are coming from. Any car modification, to be properly carried out, requires forethought, safety consideration, and a good knowledge of the vehicle and the driving that is going to be done in it. If substantial power is added, it is only logical to add an equal amount of upgrades to the suspension and braking systems. Otherwise, you’ll wind up with a car that can go faster than it can handle, and the car’s safety is compromised. Any tuner in the world could tell you that. And car companies could be liable in some of these cases of poor planning. And thus, they are keen to cut down on such modifications, to prevent both tragedy and litigation against them. However, my fear is that the stated intentions of the proposed regulations are disingenuous. Car companies are not worried about safety, at least not to the extent they claim. FCA just recently rolled out the Hellcats, cars with so much power that a number were wrecked the same day they were delivered. Porsche has the 911 Turbo, whose launch control takes the car from a stop to felonious speeds in under 10 seconds. And Mercedes has the ludicrous AMG Black line, 12 cylinder brutes in some fancy clothes. In the wrong hands, these cars are infinitely more dangerous than a chipped Fiesta ST. But since they are factory cars, not a second thought is given to this. Additionally, the Alliance’s claims to have environmentally concerns is a little silly as well, as some aftermarket maps return better fuel economy numbers than the cars had from the factory. With all of this in mind, it seems the only reason that automaker’s are participating in this Alliance and supporting its regulations is for personal profit. Almost every of of the members has a performance tuning division associated with them- M Division, Ford Racing, GM Performance Parts, the Hellcat, SRT, and Abarth lineups, AMG, and Mazdaspeed to name a few. And all of these tuning efforts are having their business sapped by the enthusiast. BMW doesn’t want a chipped 135i to walk the new M3. They are trying to cut out one more competitor, one that is not even part of the market. They are trying to cut out you, and the significant savings you can find by doing your own modifications. Sure, they are quick to say that they have discussed a “Memorandum of Understanding” with aftermarket manufacturers, because the aftermarket is a closely knit community of similarly large corporations, and they can have a say in what happens in the automotive world. Despite this, the automotive enthusiast is left out of the mix. They have no lobbying power, no significant market power, no voice. And this needs to change. Just because automakers insist on making their vehicles more technologically complex, doesn’t mean the hobbyist mechanic should foot the bill for it. It’s just not right.